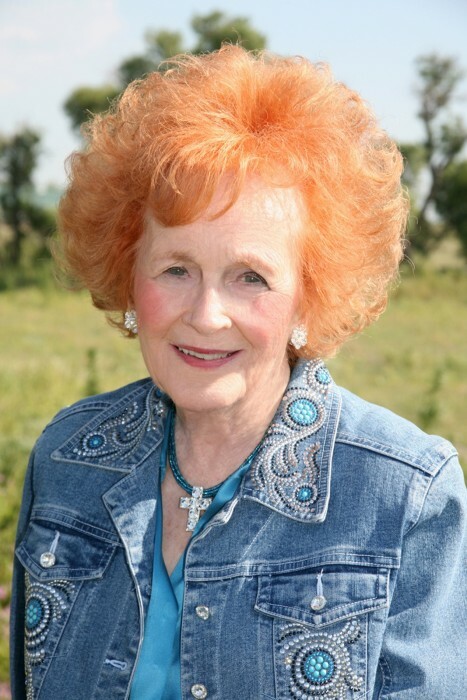 Beldora "Bel" Haythorn, age 99, of Ogallala, passed away, Thursday, February 7, 2019 at the Ogallala Community Hospital. Bel was born February 14, 1919 to Byron and Helene (Shoup) Cochran in Sutherland, Nebraska. Bel attended elementary and high school in Sutherland, graduating in 1937. She attended Stephens College in Columbia, Missouri in the fall of '37 and graduated in 1939. She then went to Kansas University in Lawrence, KS for one year, then transferred to the University of Nebraska at Lincoln. She earned her Bachelor of Arts In Music Education, graduating in the fall of 1942. Bel met Waldo Haythorn in the summer of 1939, at a rodeo in Sutherland, and they were married on September 14, 1943. The two of them moved to Arthur where they started their family. Bel taught music in the Arthur High School and District 32 Elementary and Secondary School part time from 1945-1946. After her children were in college, she studied and received her degree in Interior Design from the New York School of Interior Design. She was a member of New Hope Church, Eastern Star #142, PEO Chapter CL, Classy Red Hatters, Pi Beta Phi Sorority, and the Nebraska Cowbelle's (Nebraska Cattlewomen). She was the director of the Nebraska State High School Rodeo Queen pageant and went on to coach the winners that competed on the national level. Bel enjoyed dressing up, going to church, spending time with her family and friends, traveling, Wednesday hair and nail day, and plenty of chocolate. She is preceded in death by her husband; parents; 1 brother, George Cochran; sister, Sue Ann Haythorn; and niece Mary Helen Haythorn. Bel is survived by 1 daughter, Sally Haythorn of Ogallala; 1 son, Craig (Jody) Haythorn of Arthur; 1 granddaughter, Shaley (Sha) Griffin of Abilene, TX; 2 grandsons, Sage (Kelley) Haythorn; Cord (Katie) Haythorn, both of Arthur; 3 great-grandsons, Tel (Jessika) Derner of Abilene, TX, Rye Griffin of New Zealand, and Steel Haythorn of Arthur; 2 great-great grandchildren, Bentleigh and River Derner; 1 sister, Jane (Bryce) Lundell of Cheyenne, WY; 1 brother-in-law, Howard Haythorn of Maxwell; nieces Margaret Haythorn of Kenesaw, NE and Liz (Mike) McCrory of Des Moines, IA; a nephew, Harry (Londa) Haythorn; and many cousins, and great-great nieces and nephews. Funeral services will be held on Monday, February 11, 2019, at 3:00 p.m. in the New Hope Church, with Pastor Eric Wait officiating. Burial will take place in the Ogallala Cemetery. Memorials have been established to the Arthur County Schools music department and Nebraska Ranch and Rodeo Associations. Online condolences may be sent by signing the Guest Book. Services will be live streamed. Draucker Funeral Home is entrusted with arrangements.